My problem isn't having a shortage of creative ideas, I think. I mean after all, I did take it upon myself to teach the most talented group of elementary students a body worship routine that's kind of beyond me. Dancing is fun and dancing is liberating! Particularly when one does it within a worship context but! I truly believe if you saw me dance you'd die from secondhand embarrassment. It's a real thing, folks. I do have other ways of being creative though, and I'd like to think that cooking is one of them. *silence* Okay just humor me here. I remember that season when I truly picked up a passion for baking. I was a young lass from Orange County attempting to make the most "exotic" dishes for my someday-to-be-husband. As a result, I wound up with Julia Child's Mastering the Art of French Cooking in my hands and I immediately fell in love. Here I was...ready to conquer the world by starting out with her Clafoutis recipe, which I surprisingly--and very unfortunately--ended up liking but not loving. The problem was that I expected something extremely decadent with a remarkably wow factor. Clafoutis is actually amazing on its own, yes, but at the time I was pretty naive about French cuisine and that was my mistake. Now I know to expect a light treat in which the star of the show isn't so much the batter as it is the fruit (I pretty much expected cake). The batter is somewhat of a cross between custard and a thicker and chewier pancake. This time around I decided to make a Clafoutis that might appeal a bit more to the American audience--well okay, just my adventurous taste buds--by topping it with minty Mascarpone cream. Mascarpone is probably one of the best flavors in the world because it gives baked goods the perfect finishing touch! Rich, sophisticated, memorable...One of those foods that force you into quiet bliss and all that remains is you. And that dish ready to be devoured. Preheat the oven to 350F degrees (177C). In a large mixing bowl, vigorously whisk the eggs until they are scrambled thoroughly. Add the milk, coconut butter, butter, salt, lime zest, vanilla, and whisk thoroughly. Add the brown rice flour and gently mix everything. Pour into a lightly buttered cast iron skillet (or cake pan) and bake for approximately 38-40 minutes. Every oven differs so I recommend checking on it halfway through. Cast iron also bakes at a slower rate than regular pans, so adjust the time accordingly. Probably a few minutes less. For the mascarpone cream, I recommend using a processor or a blender of some sort. It seems to curdle less than when it's made in a stand mixer. Simply mix all the ingredients on high speed and serve with clafoutis! Have you tried Clafoutis before? One dish that surprised you because of previous expectations? We all know that life is full of lessons to be learned. Some are life altering and often pave out the direction in which we should go. On the contrary, some are innocent and harmless like the failures and successes we see in our kitchens. Okay but to be honest, whenever I have a recipe flop I steam with disappointment and annoyance at myself. That is especially the case when I cook for other people, like that time I attempted to stuff persimmons into homemade ravioli noodles? Yeah, we all ate to our heart's content as we noshed on the "backup" food my mom had prepared, hah! But my ravioli clumped up together in the boiling pot and I had underestimated the amount of sauce we would need. Lesson learned--always always taste test before feeding people. Thank goodness everyone was kind with their words! I do have a great amount of good news, though! Last Saturday's Women's Ministry brunch was a success in every sense of the word. Oh my...I never truly realized the need for our women to learn the Word together this badly, all while fellowship-ing over a cozy brunch meal. Along with a powerful Bible study, we saw success in the food provided and everyone's belly was satisfied. Definitely a clearing-off-eyebrow-sweat moment for me because my quiche was a success...or so I'd like to think after receiving good feedback. After discovering the wonders that hatch chile did to my DIY grilled cheese recipe, I knew I had to create one of the quiche variety. I made three different types of quiche but in my opinion (and other women's) the turkey bacon and this hatch chile version were the best. Granted, I have to forewarn you that you might have to up the salt a little bit. I unfortunately ran out of salt in the middle of mixing up the stuff; thus, we ended up with a perfectly cheesy and slightly buttery quiche that was a bit more on the bland side. I suggest adding about 1/4 tsp more salt or a few extra tbsps of Parmesan. If you like it extra spicy then go crazy with the hatch! This quiche is gluten free as I knew some women needed that special touch, so you don't have to worry about your guests if you follow this exact recipe. For the oat crust preheat the oven at 350F degrees (177C). In a food processor, first process the oat flour, cornstarch, salt. Then add in diced butter and pulse the mixture a few times so it starts to crumble up. Slowly add ice water until it forms a crumbly but pliable dough. Form into a disk (doesn't have to be perfect) and place on a slightly greased pie dish. From the center and outwards, begin to press down and flatten out to the form of the dish. It should be about 1/4 inch thick and if there's extra at the top of the dish, cut it out with your fingers and save if desired. Bake for 18 minutes until slightly baked, but not too crisp or golden. Let it cool as you make the custard. For the custard, raise oven temperature to 400F (204C) whisk the eggs in a large mixing bowl. Add milk, salt and pepper, parmesan, thyme, hatch chile, and onions. Whisk until thoroughly incorporated. Pour the mixture into the pie crust and bake for approximately 35-38 minutes, or until toothpick inserted comes out rather clean. It still should be somewhat jiggly like regular custard, but uniform. Sprinkle more cheese if desired and serve! ***Cow's milk is always a great choice, but you can certainly sub it with almond milk to lower the calorie intake. And if you want it really rich and wholesome, you can sub half of the regular milk with whipping cream. This recipe was not sponsored, although I did use the products sent to me by the Hatch Chile Store. Are you a fan of quiche? If so, what variety? Recipe links are welcome. How are your failures and successes in the kitchen? Dish you love to bring to parties and gatherings? Like the title there? Hohoho...it's one of those that make you cringe a little from just hearing it, right? If you know me at all, you're probably aware that I personally tend to shy away from using words like "skinny", "no calorie", and anything that gives food the connotation that it's black and white--promoting that it can be helpful for losing weight or on the contrary, making you gain fat. However, we also have to admit that some foods (especially appetizers) are notorious for sabotaging our fitness goals simply because we can't just stop at one chip! Once you pop the fun don't stop! And more often than not, the bowl of chips sitting in front of you is nothing but a melting pot of grease sponges, since they always end up getting the life fried out of them. That's not to say, of course, that we shouldn't have the unhealthier alternative every now and then. But balance is truly where it's at, so let's get on with these baked cinnamon tortilla chips and skinny mango dip. That's right, the chips are baked! But they surprisingly taste oh-so-good. As long as you keep an eye on them, you should wind up with a perfectly crunchy and slightly sweet batch of tortilla chips. They also taste like churros, by the way. Just sayin'. Grab a large mixing bowl and simply toss everything together. Tip: I find it easiest to cut the mangoes by cutting on both sides of the pit. Then I cut them into squares with the skin on, but carefully! And I scoop the flesh out with a large spoon. Brush the first tortilla with coconut oil on both sides. Lay it on the board and sprinkle the top with sugar and cinnamon. Lay the next tortilla on top, and this process will let the bottom be moistened with the oil and get some of the sugar+cinnamon as well. Brush the top again and sprinkle the sugar+cinnamon. Repeat this process with the remaining tortillas. Once you have a stack, cut them into 8 slices so you end up with triangles. Place them on a cookie sheet so that they barely touch each other--they don't have to be inches apart. Bake for approximately 6-8 minutes (depends on your oven) and when they're slightly golden, flip them and bake for another 1.5 minutes, or golden and crisp. Let it cool and serve with the Skinny Mango Dip! This recipe is perfect for entertaining a crowd, and it's especially fun to serve it for your 4th of July get together! Happy Fourth and be blessed! What are your thoughts on words like "skinny" when it comes to food? Are you doing something for the 4th of July? What food are you serving? Just recently, it dawned upon me that I'm actually really appreciative of my Korean heritage. Like, I went from being ashamed of my background, to that crazy girl you hear screaming, "Omgnesssss you like that KPop actress?! Me too! Hmmm I could reaalllllyyy devour some uber spicy chicken thighs right now. Where's the kimchi? We should start saving up to visit Seoul"
I don’t know if it’s stress from the recent car accident (of which I posted today down below) that has me craving sweets all the time now, or if it’s simply breastfeeding that’s making me hungrier for something extra. Something sugary. Something decadent and fruity…Whatever the case may be, I’m glad I was inspired to come up with this super easy, decadent, and best of all, vegan and gluten free cobbler! I’m extremely ecstatic to share this recipe with you because I know how many of you love your gluten free and vegan desserts. Some of you just prefer to eat those kinds of food while others have specific needs due to moral or health reasons. I, for one, have always loved the creativity and taste that goes into gf and vegan dishes and enjoy the process of brainstorming a good recipe. Another reason why I’m being more creative with my eats right now is that Selah seems to have a sensitivity to all dairy with the exception of eggs. Yes! The eggs get to stay. Although I’ve gone through a lot of trial and error to rule out the possible foods that make her gassy, I’m glad that it’s not coffee and that it is indeed, dairy. I mean, who can give up coffee and tea when they’re consistently addicted to that sweet smell and nutty taste short on sleep? Not I, my friends. Not I. And well, this isn’t to say that I don’t have a little bit of ice cream or yogurt here and there because I do. But very rarely, I promise! That’s why I bring you this decadent, healthy, and low sugar dessert today. It’s friendly for all sorts of eaters (unless you’re allergic to nuts) and perfect to satisfy your sweet tooth without breaking the bank, your clean diet, or your breastfeeding needs. I also shared a photo of a single serving on Instagram last night, and that’s great evidence that this recipe is easily adaptable for when you’re short on time and money. It is important to note that while you’re more than welcome to use fresh berries, I chose to use the frozen kind instead because it’s easier and much cheaper than the alternative. 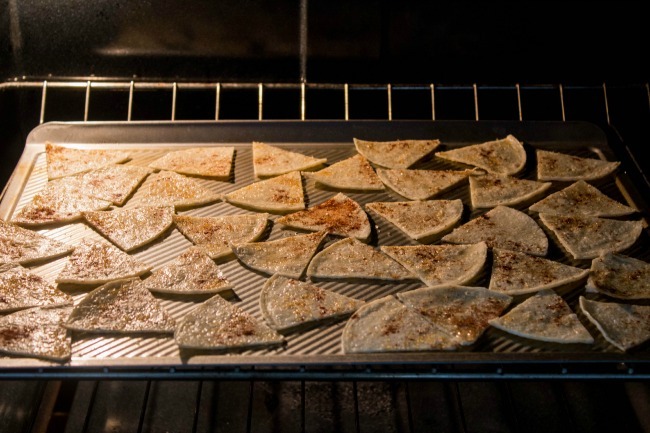 Preheat the oven to 375 F. Fill a round baking pan with the fruit base ingredients and stir them up. In a medium-large bowl whisk together the almond, millet flour, baking powder, and salt. Then add the wet ingredients and mix them with a wooden spoon. The batter should be somewhat chunky and runny at the same time. Place the batter on top of the berry mixture and bake for approximately 18-20 minutes, or until golden brown. Serve with vegan ice cream and enjoy! I topped it with So Delicious vanilla bean ice cream. ***Many people are wary of using coconut oil because certain brands have such a strong taste. Some are good and some taste interesting, for lack of better term. My favorite brands of coconut oil so far are Dr. Bronner’s and Spectrum. They have a neutral flavor that is suitable for all kinds of dishes. Have a lovely day, my friends! Seize the day and seize every moment you have with your loved ones. With a side of cobbler, hehe. If you eat vegan and gf food, what are your reasons? Or do you simply enjoy them? What’s your ultimate favorite and healthified dessert? What food or drink would be hard for you to give up? Do you smell what's in that pot? Yesterday Susan came over to help me with the wedding invitations since we're making them ourselves. Let me just make it clear that DIY projects for weddings are so much fun! If you haven't considered doing that for your own wedding, then I highly recommend that you give it another thought. As long as you have 2 great friends (or more) who are willing to help, it's definitely the way to go for a cost friendly wedding--and along the way, you get to share so many fun memories with them! What's there to lose? This, my friends, is what happens when you stay up late. That flower just climbed up to my hair! As you may already know, I love to cook and bake for others because it makes me feel happy and content. I truly enjoy the whole process of coming up with a recipe for a loved one, with the hope that the food will make them smile from the inside out. So off to my kitchen chambers I went and came up with this vegan recipe. Not to worry though, because the addition of tofu amps up the protein, and if desired, one can easily add cashews or even peanut butter into the mix. I'm even curious how this recipe would taste if I were to add Tempeh or chickpeas. Heat a medium sized pot on medium-high heat. Pour in the olive oil and let it warm up for a few seconds. After having sliced the carrots, cook them in the hot pot for approximately 5 minutes. Toss every now and then with a wooden spoon. Add the vegetable broth, stewed tomatoes, and coconut milk. Let it cook until it begins to lightly simmer. Add the snap peas, brown sugar, curry, chili, lime juice, basil, garlic, and ginger. Stir it well and then add tofu and arrowroot powder. Bring the heat down to medium and stir occasionally while it cooks for 8-10 more minutes, or until the snap peas are thoroughly cooked, but not mushy in texture. The flavors of this dish are subtle yet full of boldness all at the same time! It's not spicy for those who are spice-intolerant and it has a hint of sweetness from the brown sugar, as well as a mild tang from the lime juice. It was satisfying but easy on digestion due to the fact that it's a gluten free dish. And the best part of all? It was Susan and mom+dad approved. And lightly drizzled with honey. Some cakes were studded with bananas too. Love the caramelization! Can you stop eating granola at just one bite?! Your fave way of eating it? Thai food, yay or nay? Have you ever made it yourself? Ever considered a DIY wedding before? What sites inspire you for DIY projects? -for me it's definitely Pinterest and this lovely lady's blog!